Over the next six months, we will be reporting on our ongoing work around plant pathology in Laos which is under the careful management of Professor Lester Burgess. Honorary Professor Lester Burgess, a member of our NSW Committee, is a renowned researcher and teacher in the field of plant pathology who currently organises, mentors and trains Australian volunteers and scientists in plant pathology in Laos. Lester was awarded the 2012 Crawford Fund Medal for his commitment to delivering training in plant protection in developing countries, including Laos and Tunisia. As reported in a recent DFAT web story, he has coordinated the Crawford Fund’s ‘Capacity building program in crop health, biosecurity and food safety’ in Laos since 2009, providing support to Australian Volunteers for International Development (AVID). You can view a variety of volunteer videos at our Crawford Fund YouTube site—see the video links below. His current work also involves working with farmers and local scientists. 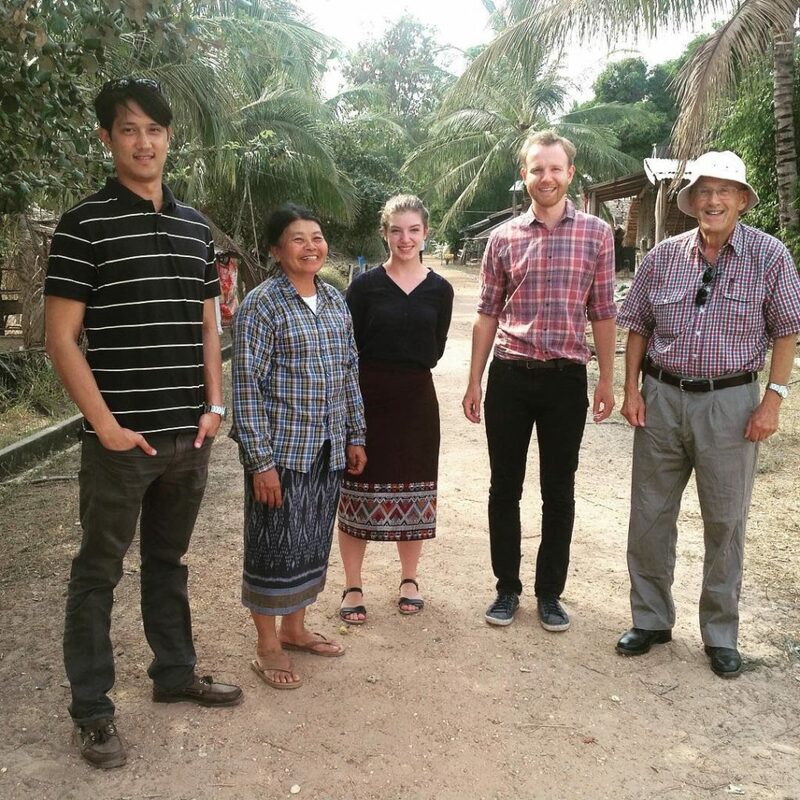 Lester and his wife Jillian are now in Laos where they have been holding meetings with colleagues and volunteers, preparing a diagnostic laboratory, assessing field trial sites and starting a survey of Fusarium wilt and other diseases of watermelon. Pictures tell a thousand words they say. To share their experiences, Lester and Jillian have recently set up an Instagram site and are uploading photos related to their project work in Laos. Click on this link to access the site. Dr Phoudalay Lathvilayvong, Director Thasano Seed Multiplication Centre, with Victor Puno, Nina Potts, David Coleman and Lester Burgess. Training coordinated by Dr Ian Smith, volunteer entomologist on a six month assignment in Pakse in southern Lao PDR. This includes hands-on training, in the laboratory and field, on insect pests and beneficial species in watermelons and other cucurbits, cabbages, and tomatoes. An extensive survey of Fusarium wilt of watermelon, the major dry season cash crop for progressive small-holder rice farmers in Savannakhet province, undertaken in cooperation with staff and two local plant pathology trainees. In-field assessment of the pathogen causing Fusarium wilt of watermelon, using different cultivars in three infested paddies in Savannakhet province. These activities are to be undertaken by Lao trainee plant pathologists, AVID volunteers and a volunteer from the USA, in the diagnostic laboratory at the Provincial Agricultural and Forestry Office (PAFO) in Pakse.